Vancouver, British Columbia is known for many things but here are the top 10 things it's most famous for. One of the most famous things about Vancouver is its physical beauty. Surrounded by snow-capped mountains and deep blue sea, Vancouver is gorgeous; when the sun is shining, it's truly a sight to behold. Its beauty is so famous, Vancouver has made multiple lists of "Most Beautiful Cities in the World," including Forbes' list and Buzzfeed's. If you're visiting Vancouver, you can enjoy the scenery on a boat tour or sightseeing cruise, from one of Vancouver's best viewpoints, or while you dine at one of Vancouver's restaurants with a view. Vancouver is so famous for being one of the world's "most livable cities" that it's regularly cited as one of the top examples whenever "liveable" cities are discussed. Most recently, Vancouver came in at number five on Mercer's Top 10 Cities list in 2016 and number three on the Economist's Global Liveability Ranking in 2015, but it's been on everyone's top 10 lists for over a decade. The most famous landmark in Vancouver is Stanley Park. Located on the Downtown Vancouver peninsula and covering 400 hectares (1000 acres), Stanley Park attracts both tourists and locals with its multiple attractions, including the famous Seawall (a paved pathway for biking, running or walking that runs around the park's rugged coastline) and the Stanley Park Totem Poles (the most-visited attraction in British Columbia). The park is also home to beaches, hiking trails, and the Vancouver Aquarium. Vancouver is famous for its fresh, local seafood, especially its salmon. Pacific Northwest salmon--including BC salmon--is shipped to every part of the world, but it's best when you can enjoy it here, fresh off the boat. Local halibut, Canadian sablefish, and BC Spot Prawns are also deliciously popular in Vancouver. You can taste the best local seafood and salmon at Vancouver's best seafood restaurants and ​sushi restaurants. If you really love salmon, plan a day trip to Steveston Village in Richmond, the city just south of Vancouver. Steveston was once the "salmon capital of the world" and offers tours of its historic cannery and heritage boats. On Canada Day (July 1), Steveston hosts its famous salmon festival, where over 1200 pounds of wild salmon filets are grilled over an open fire. You can also learn about salmon spawning at the free Capilano Salmon Hatchery, one of the best rainy day activities in Vancouver. If you love outdoor recreation and adventures, then Vancouver should definitely be on your "must visit" list. Because of its proximity to both mountains and ocean, Vancouver is famous for offering every kind of outdoor sport and adventure, from skiing and snow sports in the winter to kayaking and water sports in the summer, and hiking, camping, and biking year-round. Also fishing, scenic golf courses, and mountain ziplining! Vancouver is famously known as "Hollywood North" for its billion-dollar film and TV industry; many, many of your favorite movies and TV shows are or were filmed in and around Metro Vancouver. If you search Wikipedia for "films shot in Vancouver," you'll find over 400 entries, and that's just a small segment of the whole. Famous movies filmed in Vancouver include four films in the Twilight Saga (New Moon, Eclipse, Breaking Dawn Parts I & II), three X-Men films (X2, X-Men: Last Stand, X-Men Origins: Wolverine), Night at the Museum, and Mission Impossible: Ghost Protocol. Famous TV shows shot in Vancouver include multiple superhero shows (Arrow, The Flash, Smallville), the X-Files, and MacGyver. Generally, Vancouver is very chill about its movie and TV stars; yes, there is a possibility you'll spot one while you're out on the town, particularly in Yaletown and Gastown's trendy nightspots, but the locals don't make a big deal about it. If you follow hockey and the NHL, then you've heard of the famous Vancouver Canucks. The Canucks have been in the Stanley Cup Finals three times, and are enormously popular both in Vancouver and throughout Canada. If you're traveling to Vancouver and want an "authentic" local experience, you can't get much more authentic than watching the Canucks play at their home at Rogers Arena in Downtown Vancouver. Though not exactly (world) famous yet, the Vancouver Whitecaps FC are one of Canada's best Major League Soccer (MLS) teams; they play at BC Place Stadium. 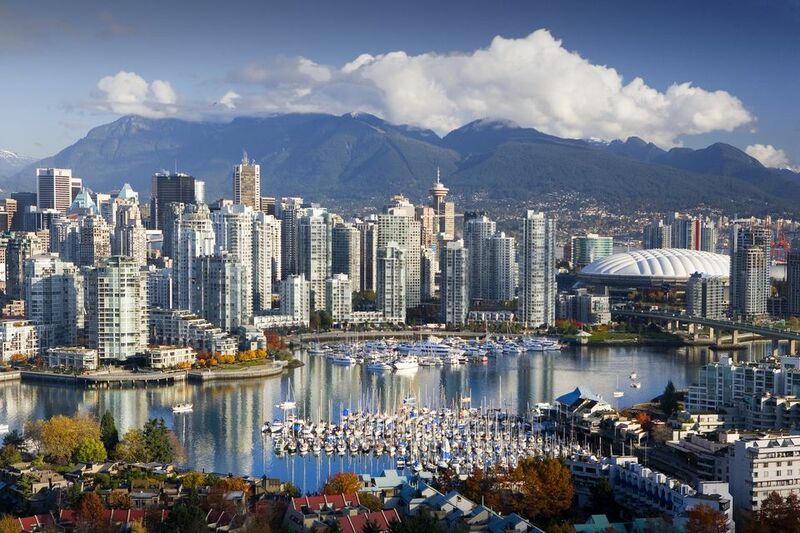 Vancouver is also famous for hosting the 2010 Winter Olympics and Paralympics, the 2014 Women's World Cup, and the Canadian Open golf tournament (last held in Vancouver in 2011). Vancouver is a stealth trendsetter. While you've heard of all these trends and movements--they're world famous--you may not know that they all started right here in Vancouver, BC! The athleisure trend started with the granddaddy of all athleisure, Lululemon, a Vancouver-based company that launched in Kitsilano in 1998. The locavore movement--i.e., the movement to eat local foods--got a big boost from Vancouver with the 2005 publication of the bestselling 100 Mile Diet: A Year of Local Eating by local journalists J.B. Mackinnon and Alisa Smith. Occupy Wall Street, the protest movement that made headlines in 2011, started in Vancouver, via the local magazine Adbusters. Greenpeace, the famous environmental activists, began in Vancouver in 1971. If cyberpunk started with author William Gibson (Neuromancer), then it started in Vancouver: Gibson moved to Vancouver in 1972, published his most famous works here, and studied English at the University of British Columbia (UBC). Vancouver is famous for its marijuana ("BC bud"). If you're interested in Vancouver's pot scene, start at the Pot Block in Downtown Vancouver (basically, the area right around the famous New Amsterdam Cafe). For information on the history of marijuana, as well as other medicinal-but-illegal drugs, check out the tiny-but-packed Herb Museum, one of the top unique & unusual attractions in Vancouver. Yes, Vancouver is famous for its rain. It rains about 160 days a year here, which is about 40% of the year, and it can rain for days in a row. So, yes, it rains a lot. Travelers can avoid much of that rain by visiting Vancouver in the summer months, particularly August.